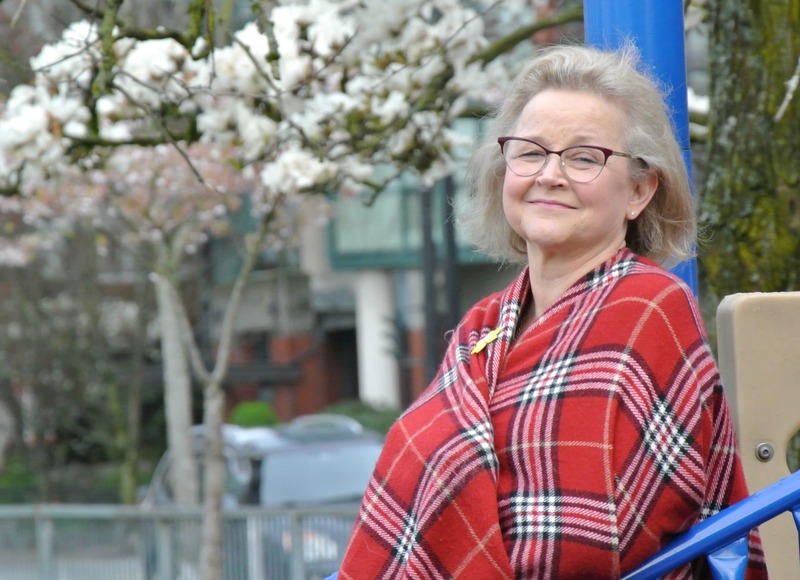 Ingrid Bates of Abbotsford is the 20th anniversary Courage To Come Back Award Recipient in the Medical category. Ingrid returned to school after the age of 40 with two young children – a courageous undertaking in its own right. During her studies, she was diagnosed with breast cancer. Her treatment resulted in a series of rare but life-threatening illnesses (including acute myeloid leukemia and graft vs host disease). These led to several long hospital stays and a number of near-fatal incidents. Despite undergoing a series of debilitating treatments, Ingrid excelled in her education. Over the last ten years, Ingrid has successfully completed both her bachelor’s and her master’s degrees in Education. She has passionately pursued her career as an inspiring and creative math, French, science and drama teacher, and has volunteered countless hours to improving the educational experience for people in her community. In addition to providing extra support to any learner who needs it, she has opened her classroom to train the next generation of teachers. Beyond the classroom, she leads an array of extracurricular activities to enrich the lives of her students and engage parents with their children’s education. Ingrid has gone even further, sharing her radiant love for life and learning with hundreds of avid listeners through public speaking and participation in a survivor’s support group. She is also member of the “Spirit Abreast” dragon boat team, and has completed the Run for the Cure four times in the last eight years. She has navigated the most difficult circumstances with ease and grace. Hers is not only a story of remarkable survival; it is also a story of the transformative power of courage and compassion in the face of adversity.